One of the aims in schools is to prepare pupils for ‘life in Britain’. The Department for Education states that schools should do this through their spiritual, moral, social and cultural (SMSC) development that includes promoting the fundamental British values (FBV) of democracy, the rule of law, individual liberty and respect and tolerance. So what better way to do this than to visit the Houses of Parliament and take the girls to see first hand how democracy works. 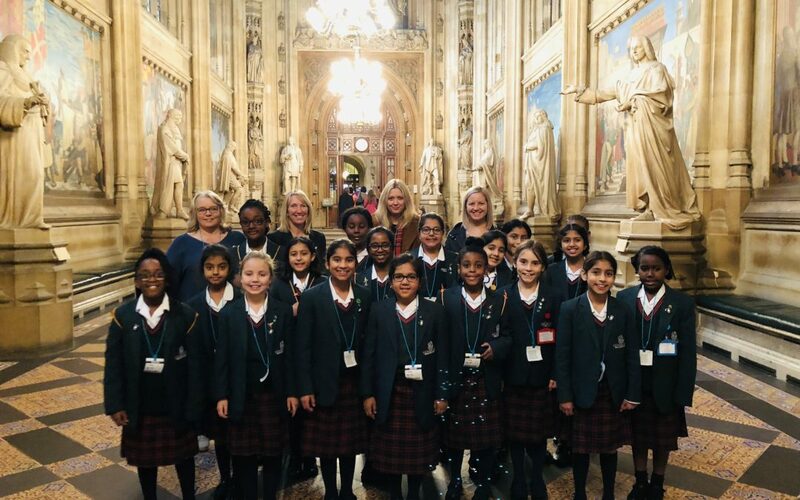 The girls were able to sit in on live debates in both the House of Commons and the House of Lords and saw first hand the day to day Parliamentary business. The girls learnt about the different people who work in the House of Commons and the House of Lords and found out what happens during an election. The tour was packed with fascinating facts and learning activities, challenging the girls to think about the difference between rules and laws, and how they can get involved with their UK Parliament. It also gave the opportunity for the girls to reflect on what UK Parliament of the future might look like and their relationship to that change.